﻿ Atom Inline Wheel Bag at Skates Pro Shop - Discount roller skate shop! Skates Pro Shop - Discount roller skate shop! 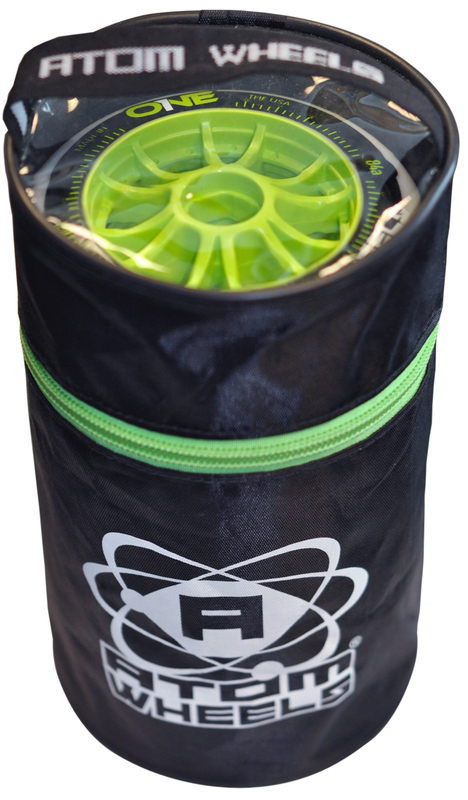 The Atom inline wheel bag features a durable nylon outer shell, clear top for easy viewing, cloth handle, and a durable zipper. Holds up to 8 110mm wheels.